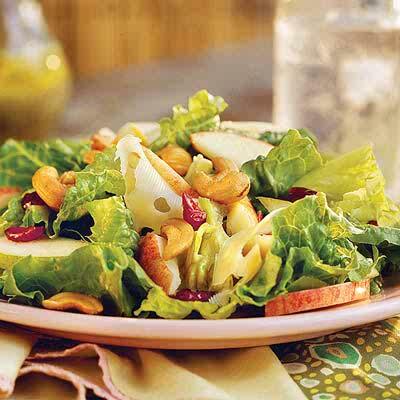 This salad has the perfect blend of fruit with the apples, pears, and dried cranberries. The salty cashews also balance out the sweetness. If desired, an equal amount of shredded Swiss cheese may be substituted for shaved. Top with grilled chicken and turn this salad into a main course.